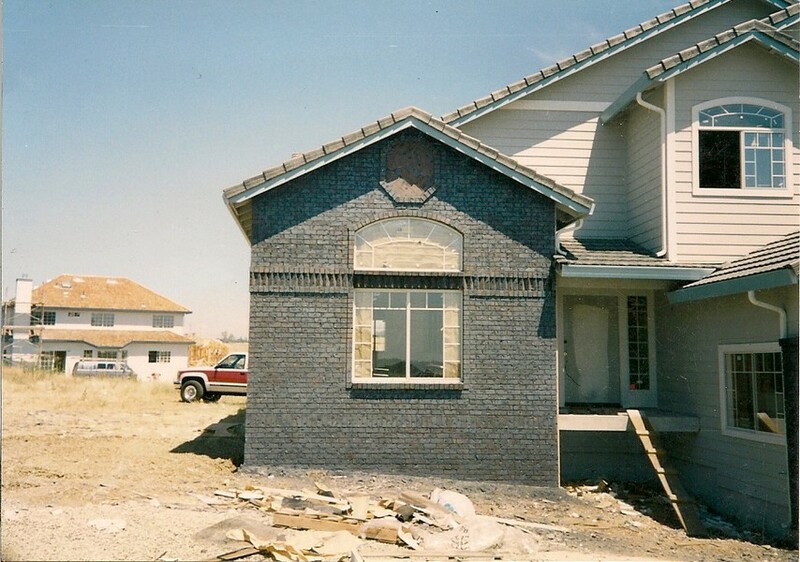 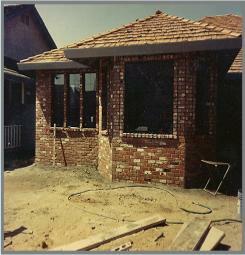 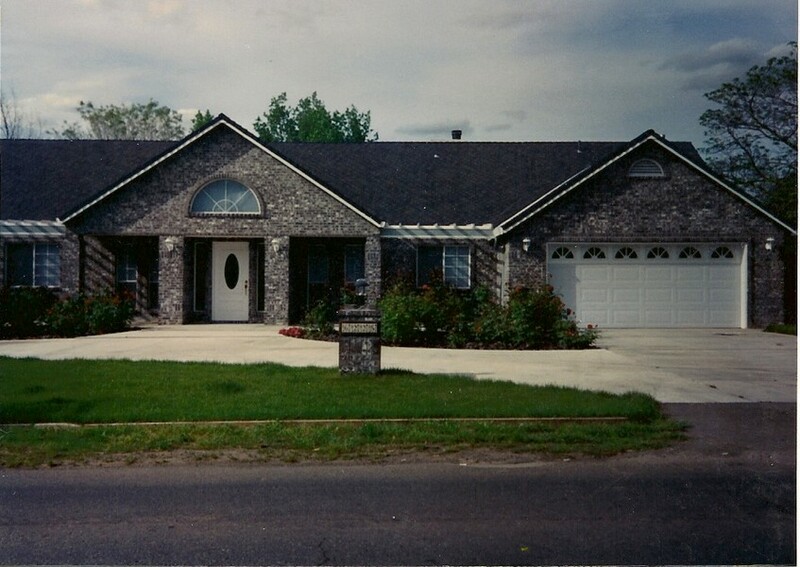 This brick home was a complete brick veneer in Carlton Oregon. 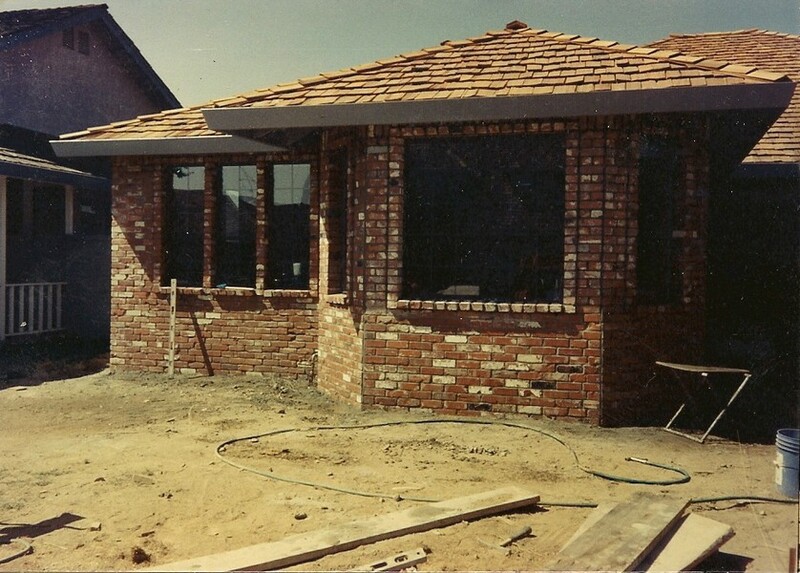 We installed the backing paper for the brick veneer to the wall ties with flashing base wall and at every window to keep the water penetration out. 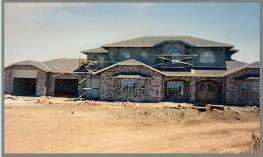 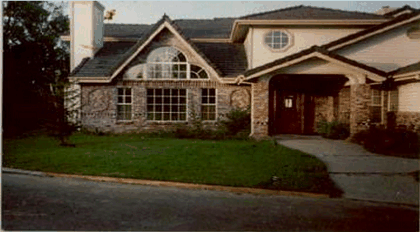 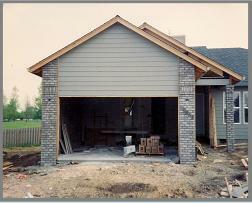 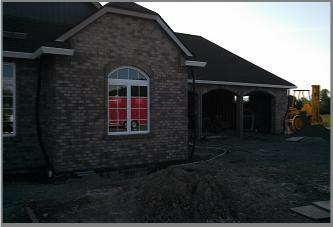 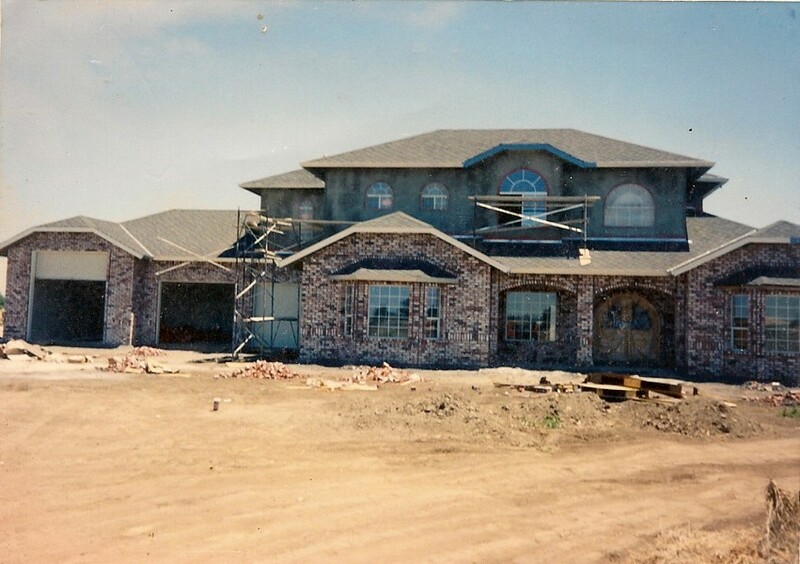 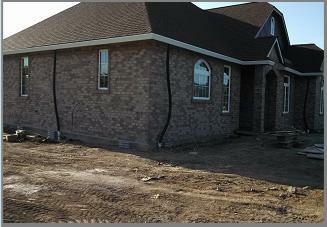 We provide all the materials and craftsmanship for a beautiful traditional or custom brick home. 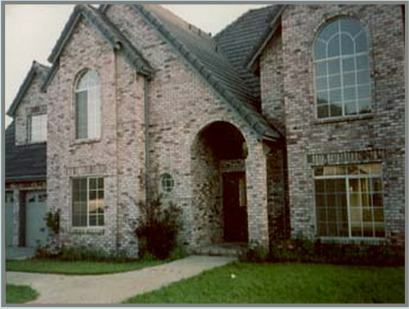 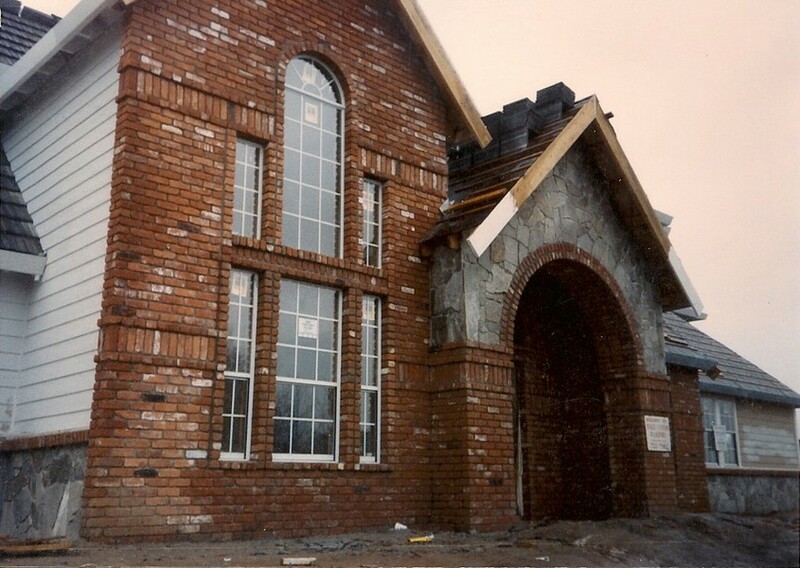 This brick home had 6 brick arches with keyways and some custom brick veneer to give it a unique look . 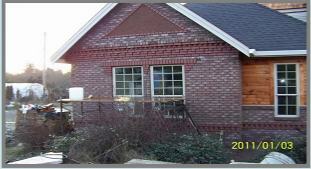 Give us a call on your brick veneer or cultured stone veneer needs . 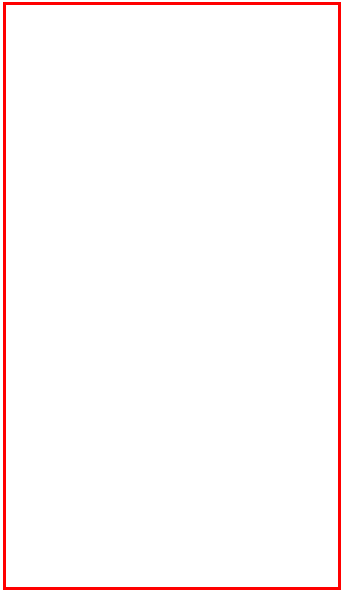 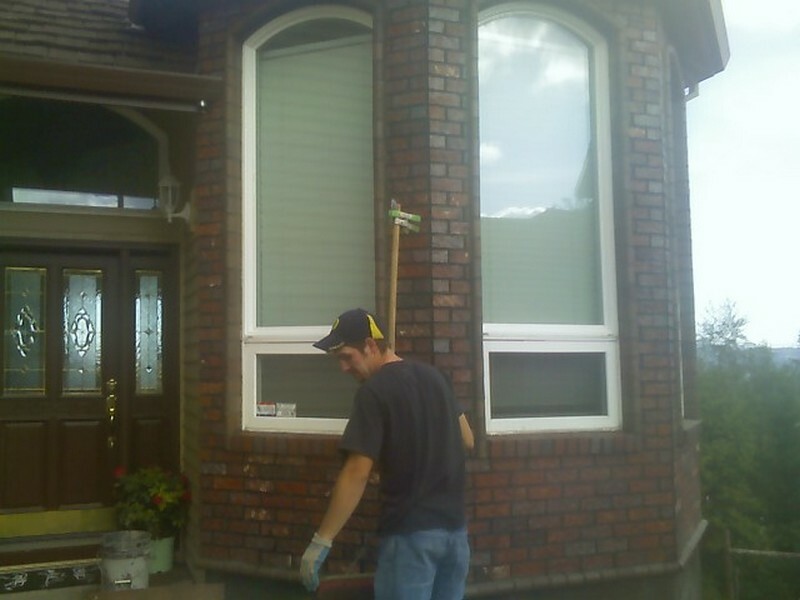 call us at 503 554 9510 anytime except Sundays, or send us a webform for same day contact . 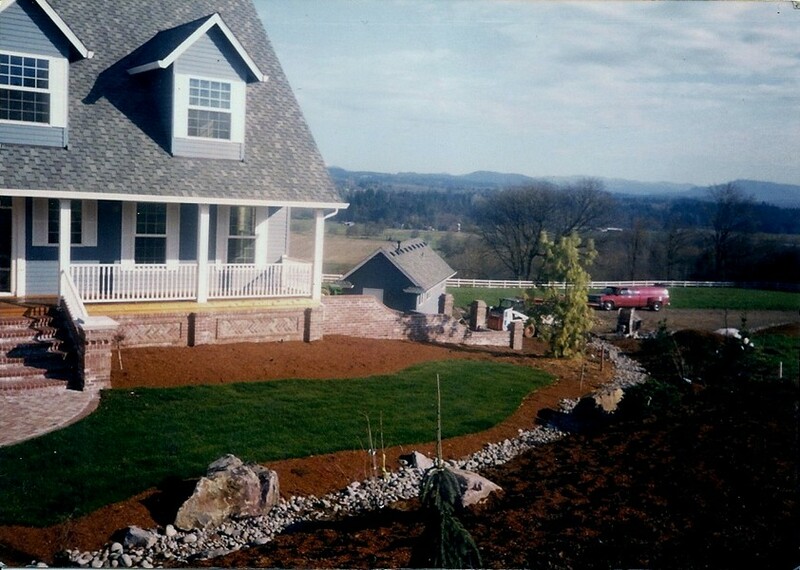 This is a Bed and breakfast in the Dundee hills outside of Newberg. 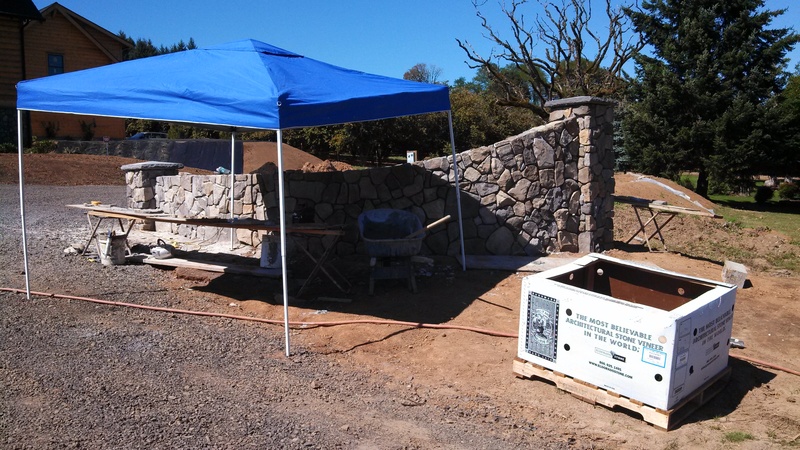 We stated out installing a cultured stone veneer fireplace that can be seen here, we then installed the stone veneer to the outside foundation walls with a stone watertable. 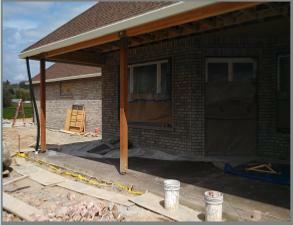 We also did the excavation and poured the patio concrete and walkways around the B&B and the lower patio on side in an exposed concrete surface. 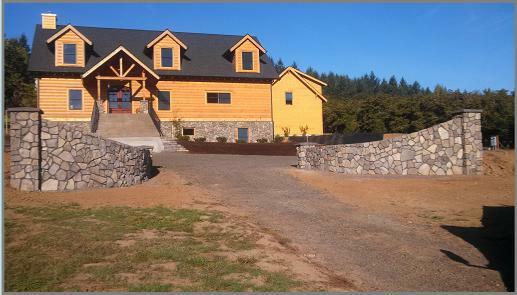 We also installed the footings and stone wall entry at the front of the property along with the retaining wall and stone basalt steps to the front door. 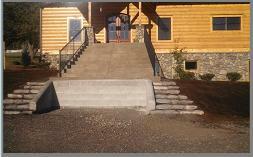 The front concrete staircase was done by others. 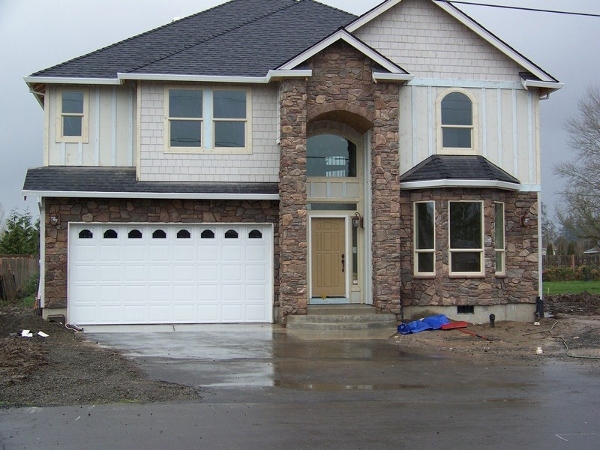 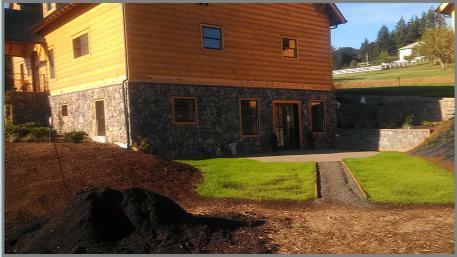 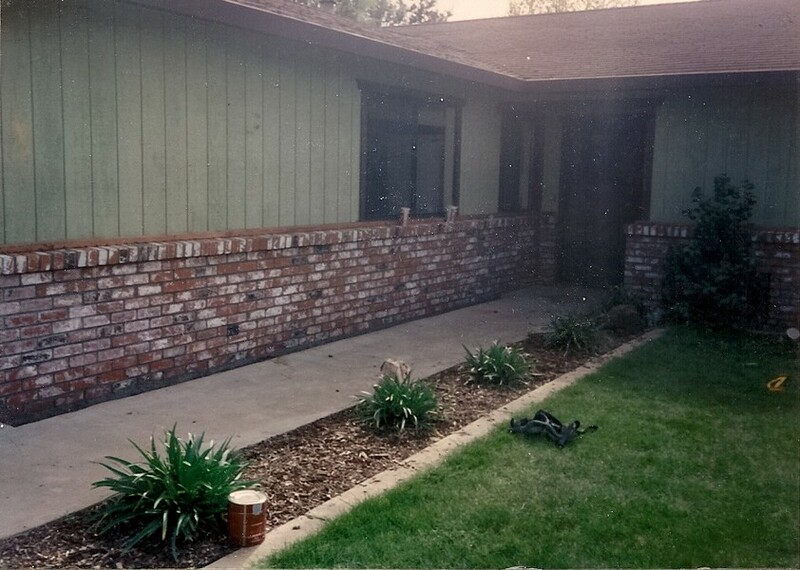 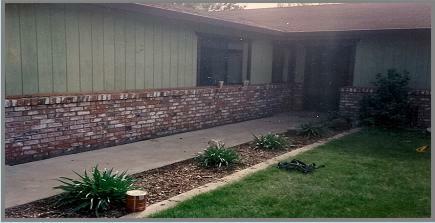 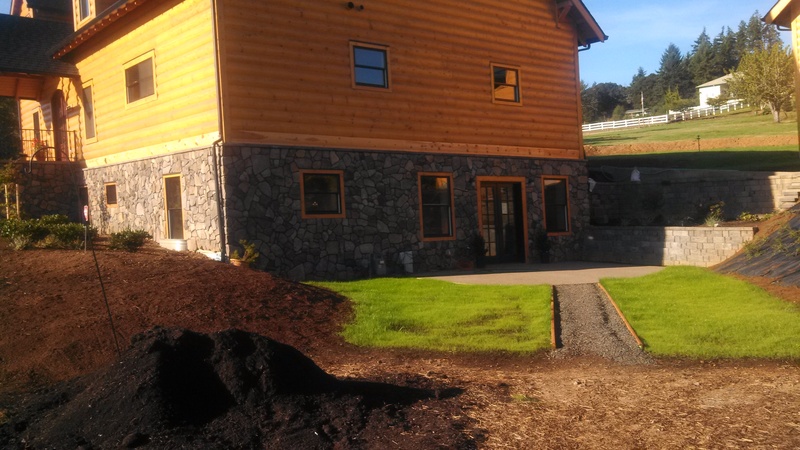 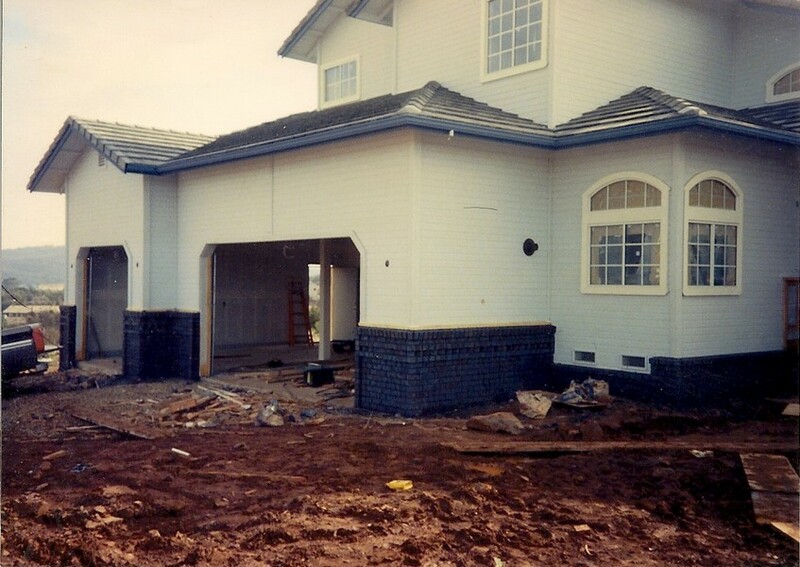 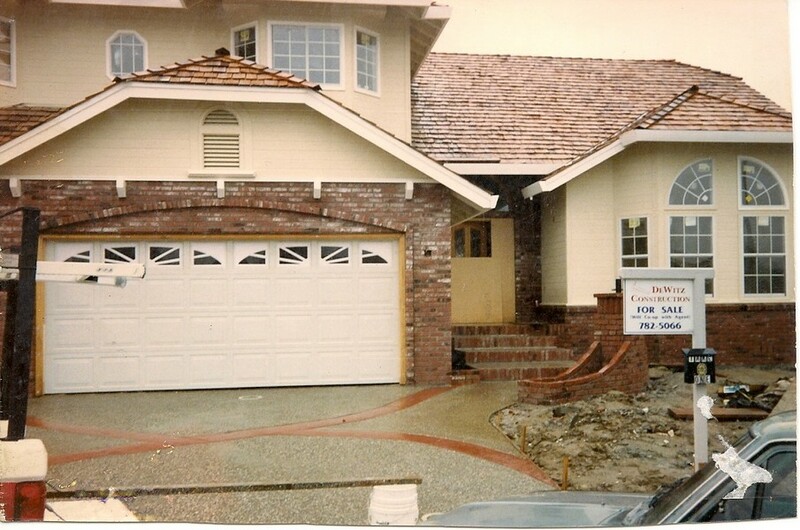 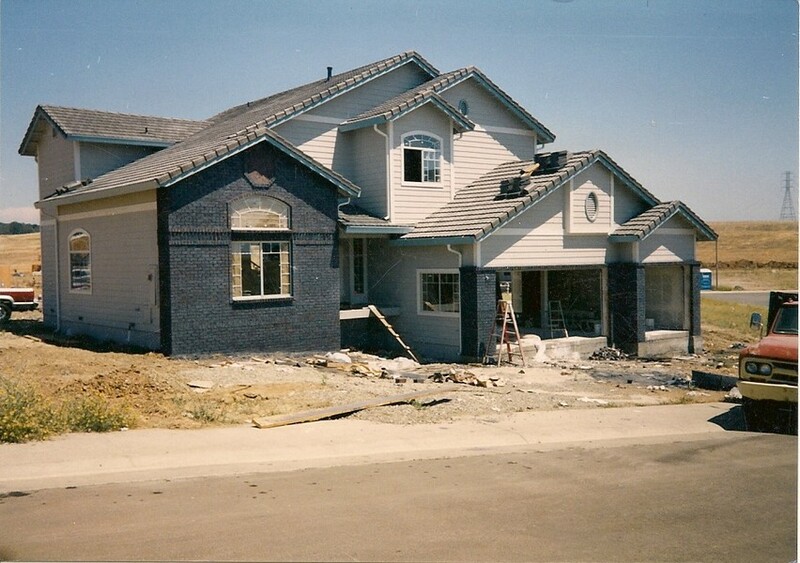 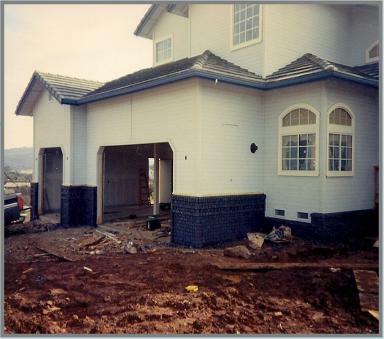 We provide all the excavation to the final finished product , we are the one stop masonry company of Oregon. 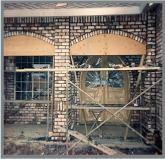 brick entry staircase with picture framed herring bone panels under the porch areas . 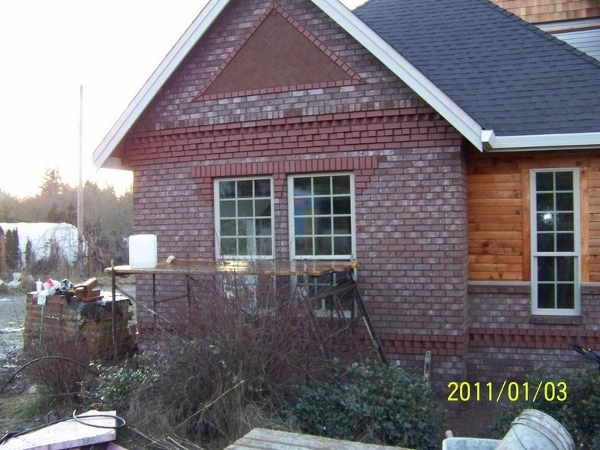 Here we added a little gingerbread brick work to the masonry to help in the design and give it a uniqueness to the home. 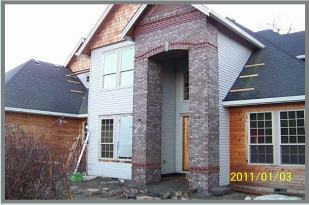 We included a corbel to overcome the pop out at the top plate line and allow for masonry veneer above. 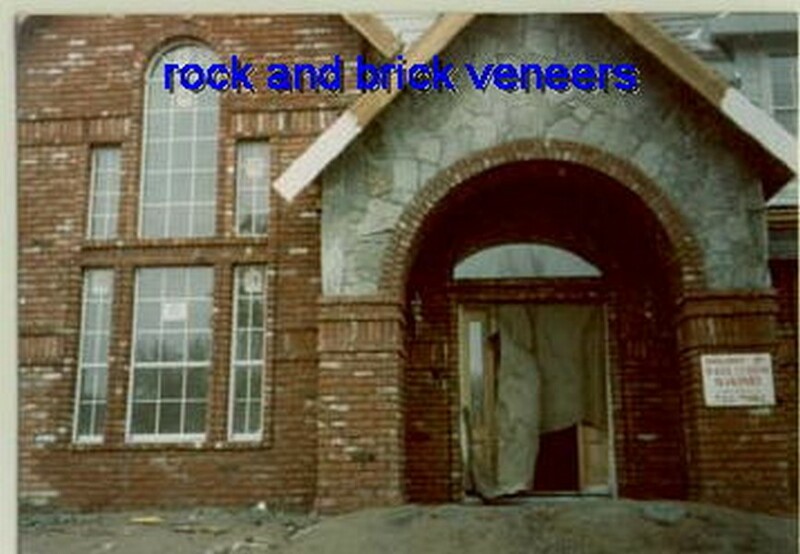 We then added the real basalt stone key way and triangle picture frame with herring bone center in the gable areas with headers and saw tooth in the lower wall and corbels . 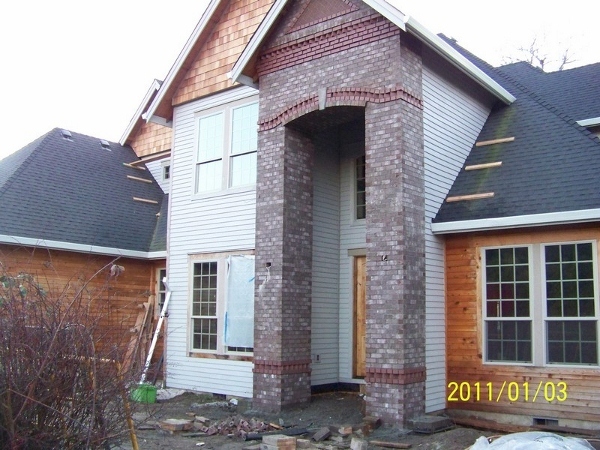 We install Brick Veneer and Culture Stone veneer with the finest craftsman and newest code procedures( they change all the time) while using the best products available. 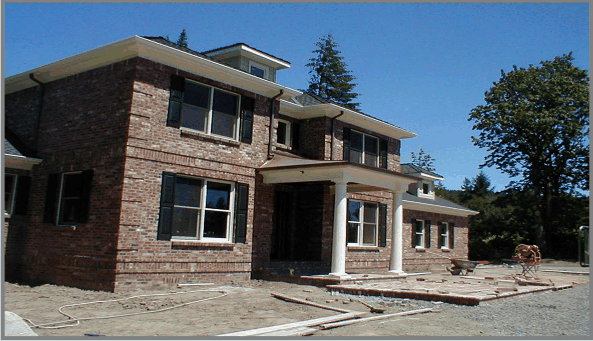 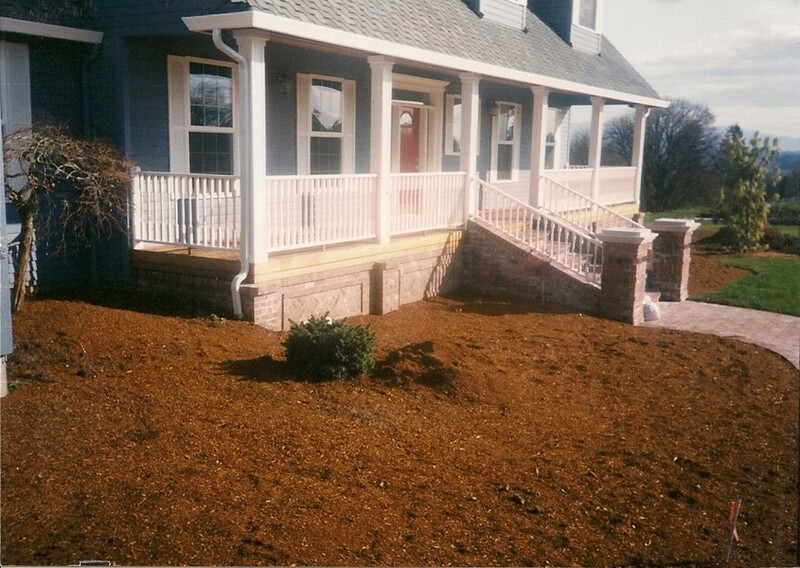 We work with the spec home builder , home owner , landscape architect, sign companies, light commercial projects, and the insurance claim repair. 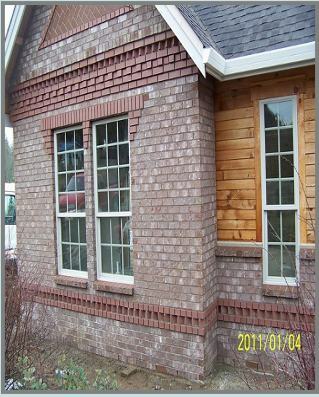 Randy McKee Masonry can make a old home look new in brick veneer or cultured stone product's, with multiple color's and design's to choose from. 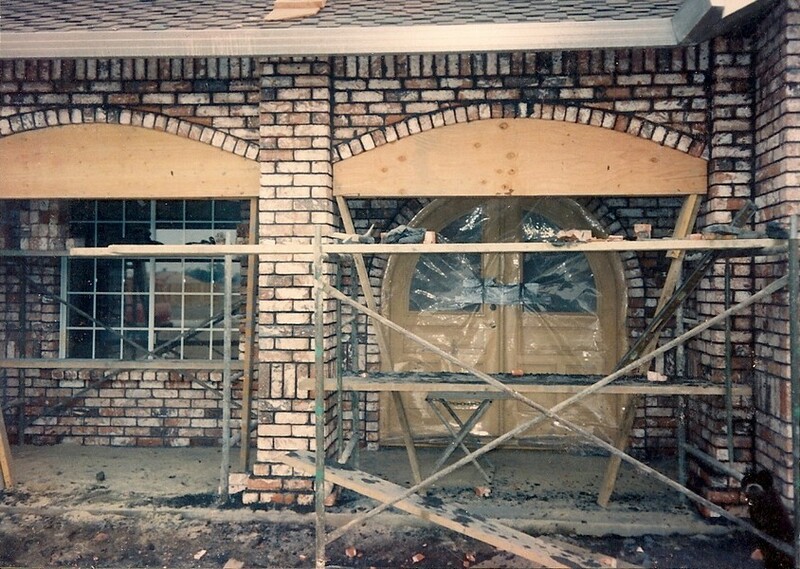 Here we installed a new brick veneer and stone veneer using coronado Italian villa stone over the existing brick entry that had shifted over the years. 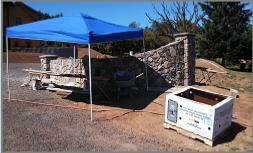 we added a light color to the mortar for the stone to blend with the stone. 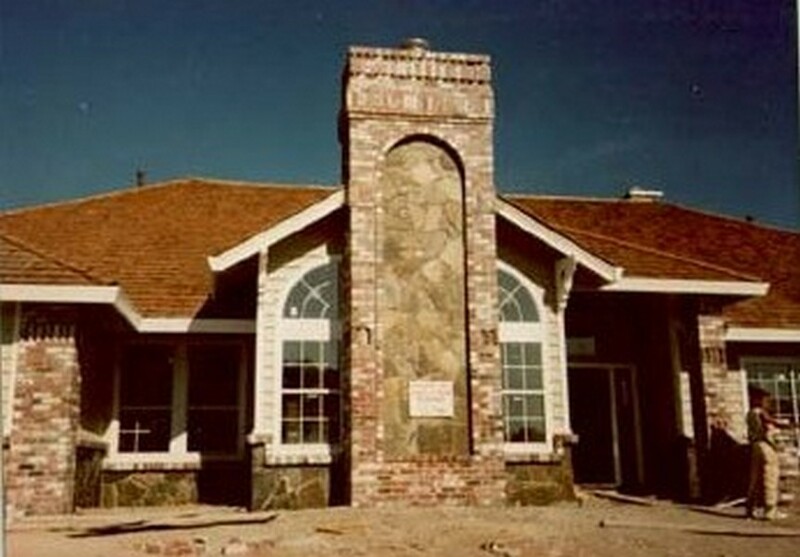 We then came back a installed entry columns using coronado stone .